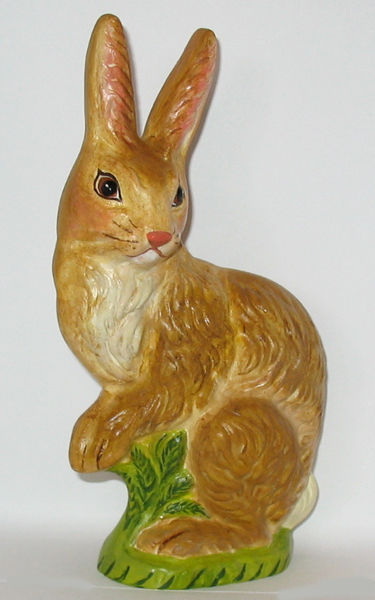 This sweet Bunny Rabbit was cast in chalkware using a wonderful highly detailed rare antique chocolate mold. Handpainted in warm honey brown, glazed, and antiqued to reflect an aged patina. 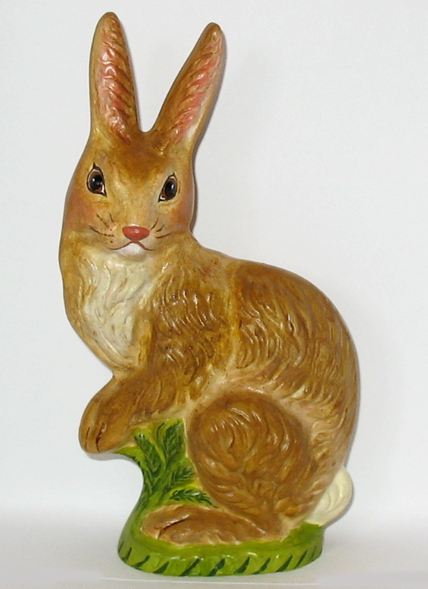 This absolutely charming figure, measuring 7 and 1/2 inches, is signed, numbered and dated.